As the finale to my Mauritius blog series, I’m sharing our full DIY 6 days itinerary and everything you need to know about this small island nation. Many of you have been asking me recommendations and things to do in Mauritius, so I’m trying to put all important information that I’ve gathered during our stay in the island. I will also insert the links of all my previous blog posts about Mauritius to make it easier for you to navigate. If you haven’t read those articles yet, you can find all the links in this one. Weather – Basically, the Island has two season – wet and dry. Rainy season is from May to October and the rest of the year is fairly dry. Best time to visit is around March and April as it has plenty of sunshine. If you’ll be visiting during the rainy months, it is best to stay in the Western and Northern part of the island to avoid the strong winds from the Southern Hemisphere. Visa – Most nationalities can enter the country visa free. For Philippine passports holders, it is visa upon arrival. Transportation – Public buses are the local’s main mode of transportation. However if you want to get around quickly, taxi is the most convenient way. Every resort have assigned taxis that only cater to their respective guests. Another option is car rental. Most families we met were renting cars. Fact – Home of the biggest flightless bird on earth which is now extinct – the Dodo. Our flight arrived in Mauritius at around 3 o’clock in the afternoon. Another hour spent traveling from the airport to our accommodation. Basically, the remaining hours of the day were spent getting ready for dinner. Although we spent total of 8 days in the island, I did not include our arrival and departure days. 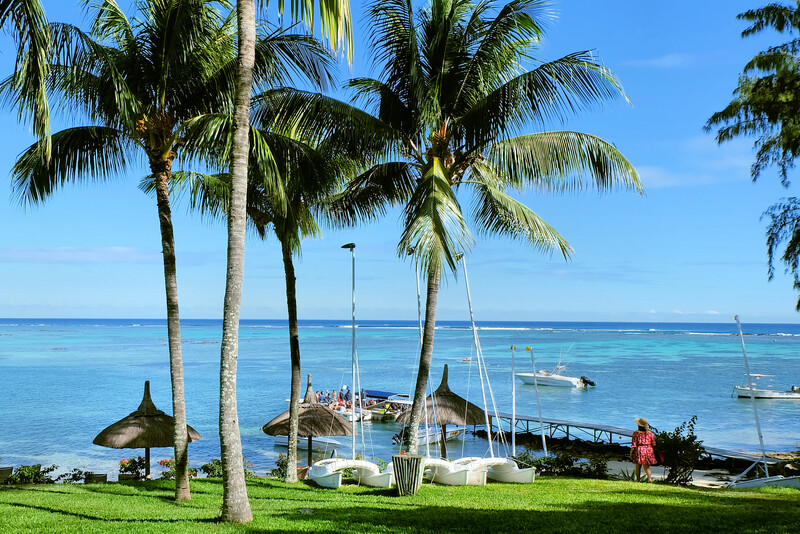 The itinerary is a full 6-day exploration of Mauritius. For us being in Mauritius it is a must to indulge and experience luxury. Of course it is a once in a lifetime chance to visit the island so why not savor it. After all, the intention is ultimate relaxation. So that’s what we did. On our first full day in island we soaked up the moment and enjoyed everything that is right in front of us. The resort was really exquisite, you don’t want to leave once you’re there. Believe me. Everything you need were all available upon request and some were already provided in the room. You will also gain more kilos especially if you book an all-inclusive-stay. Ended the day watching the spectacular sunset. As mentioned earlier, there are many activities to do at the resort. On our 3rd day we decided to stay at the resort again and took advantage of using the resort’s non-motorized water equipment. Kayak, paddle boards and pedal boats were some of the things you can use to enjoy water activities. Derick and I enjoyed pedal boating around the resort. Swimming and pampering yourself at the spa are alternative options. However for us, the best way to enjoy the day is eating. We found a good seafood place near our resort and the food was excellent. *The entire morning was spent at the resort then after lunch we checked-out to transfer to another hotel. Frankly we were not able to enjoy Blue Bay fully because of bad weather. However on a sunny day this place has a lot of beautiful sites and attractions. Regardless, our time was not wasted because we got to spent it at the beach house. Read Mauritius: A Windy Day In Blue Bay. Holiday Inn Mon Tresor private beach house. Our last adventure in the island was full packed. Read Mauritius: In-Depth Tour of Southwestern Landscape. A week stay in Mauritius is enough to explore the entire island with extra time to relax at the resort. If there’s one thing we did not do that everyone should is – swimming with the dolphins. It’s a magical experience playing with these gentle creatures. Unfortunately Derick and I decided to skip it since it was very windy and the sea wasn’t calm. Hopefully this itinerary will inspire you to see Mauritius soon or perhaps add it in your travel list. If you have questions, please feel free to ask me by commenting below. I keep hearing Mauritius, but didn’t know anything about it – I didn’t even know that it is where the dodo came from! Your pictures are amazing and I’m going to have to research this island more. The south western landscape tour looks incredible, especially the Chamarel Waterfall and Seven Coloured Earth, you’re pictures of these are stunning. I loved your itinerary. I too visited Mauritius in 2017 and covered the whole place in 6 days. I loved your beachside resort too! Wow! Id never heard of Mauritius before this blog! It seems so clean and quaint and absolutely gorgeous! How did you guys decide to go here for your honeymoon? Mauritius really does look like paradise – I’m definitely hoping to get there one day! (plus, Pamplemousses might be my favourite town name ever). Thanks for sharing the info, and some beautiful photos too! Mauritius looks gorgeous. I’d love to visit sometime, maybe with my girlfriends group. The resort looks really nice. You’ve got a great itinerary with time to relax and explore the island. Mauritius is really a paradise with those exotic beaches. I loved blue water and green trees of this place. You have taken stunning shots of Mauritius. Chamarel Waterfalls and Seven colored Earth are equally amazing too. How absolutely stunning! I’m definitely jealous of that sunshine and blue seat sitting here in winter. As an ex-ecologist, I’ve learned a lot about the ecology in Mauritius and would love to visit. Happy Honeymoon! You have me googling Mauritius! Those palm trees and blue skies take my breath away. It’s exactly what I picture when thinking of my perfect island destination. Saving for later! The resort you booked seems really promising. The view from of Port Louis from Fort Adelaide looks gorgeous. I loved the pictures you have shared. The Chamarel Waterfalls look heavenly too! I am so inspired to plan a trip to Mauritius.